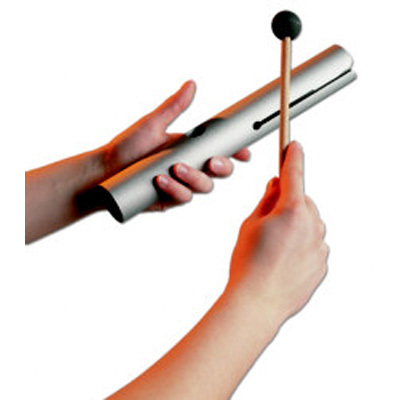 This chime bar made from extra thick aluminium, gives a clear tone, which is tuned to "E". Opening & closing a hole with the thumb gives a Wah Wah effect. Due to it's long sustain it can also be used to scan the body and the aura for imbalances in the energy field. Length: 27.5 cm, Diameter: 4 cm.